The Cisco SIP Phone 3905 is a cost-effective, entry-level IP phone that addresses the need for basic voice communications with common Cisco Unified Communications features in an attractive design that is also budget-friendly. The phone can fill the communication needs of cubicle, retail, classroom, manufacturing floor and hallway, as well as various wall-mounted deployments. 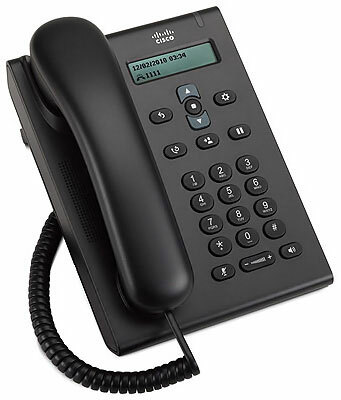 The single-line Cisco SIP Phone 3905 supports two calls per line. Fixed keys for redial, transfer, and hold/resume, along with a full-duplex speakerphone and two-line display, which comes standard, deliver a more productive, easier-to-use, and flexible endpoint experience. With its dual-port 10/100 Ethernet switch for network and PC connections, the Cisco SIP Phone 3905 offers IT organizations a cost-effective solution to reduce cabling infrastructure and administration costs at the desktop.